iSHSHIT: Did HP Pull a Quick on on us? 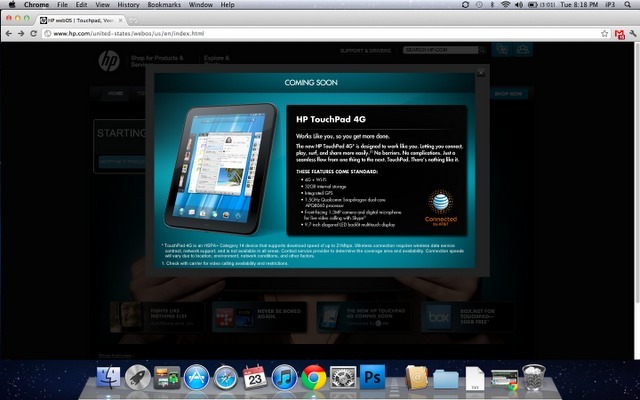 Following the discontinuation of the touchpad and the palm/hp pre we where looking around hp's website and look what we found here! If you dont see it yet here is a closer look! we know what everyone is thinking(thy stated they discontinued their phone and tablet lineup) however if you look at the first screenshot they updated the page with the $99 Touchpad 1st gen price. Did HP just need to clear out its tablet inventory for the ultimate refresh? We are optimistic, and wouldn't mind it much if this is what they did(we are extremely happy with our 1st gen touchpad and at $99 it was cheaper than my ipod nano 6th gen and you can't compete with that). The recent rumors have been that HP will license the WebOS OS to other handset manufacturers and continue to update the platform(we hope this is true(IMO I like WebOS better than Android, even thought it has less apps)) We hope that HP will announce the amount of Touchpads and Pre/Veer handsets have been sold to boost developer interest in the platform. 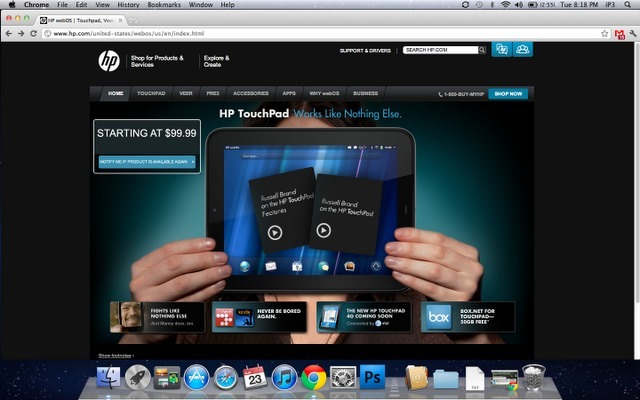 Even if this is a human error and they forgot to take down that banner, we hope this isn't the last we see of WebOS! BTW: We found these pages to be quite interesting! And This ONE surprised us all! 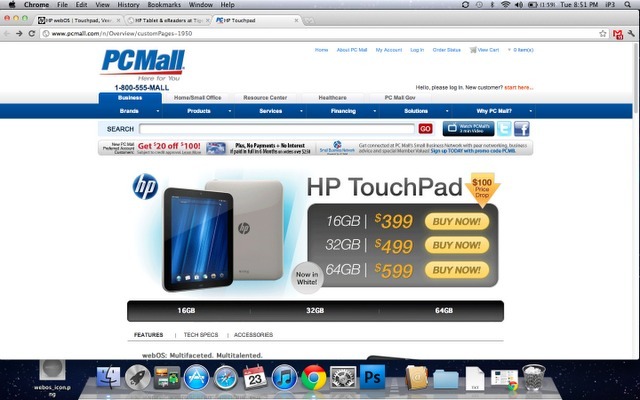 Is This a early page for the 4G LTE 1.5ghz Touch pad second generation.. it is interesting that PCMall has these pages up. 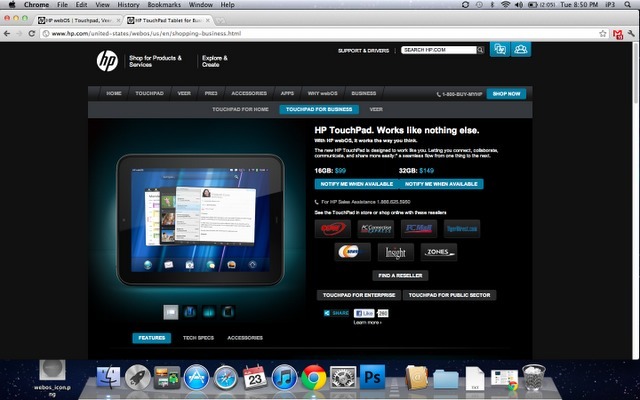 For all those will start complaining about the $99 bait and switch, you will not find anything in any comparison to the HP Touchpad ad $99, even the iPod Nano 6th gen is $149. At least you can surf the web(with flash),watch movies, listen to music, and have a few apps that make it all the more of a insane deal!